Your computer is misbehaving and you are looking for someone to undertake computer repairs for you, right? Maybe it’s making some funny noises or clicking sounds. Or maybe sometimes when you switch it ON and it just sits there and looks at you like a stunned mullet and doesn’t boot up! Or your computer makes strange beeping noises? 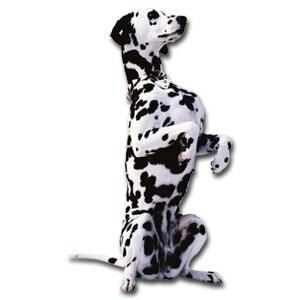 Spotty Dog Computer Services Morayfield can fix your computer for you. And we will explain the problem in plain English. Which means you will understand exactly what needs to be done and why. Depending on the problem, we may even be able to repair or diagnose your computer fault remotely. Or via our mobile computer repair services at your premises while you wait! 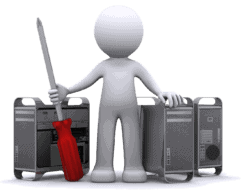 We know how hard it is to find someone you can trust to carry out competent computer repairs. That’s why we strive to ensure your computer repair experience is one with no stress. And we will provide a computer repair service that you will recommend to your friends and family. We are located in Morayfield near Caboolture halfway between Brisbane and the Sunshine Coast. We service areas north of Brisbane including Morayfield, Burpengary, Caboolture, Upper Caboolture, Rocksberg, Bellmere, Beerburrum, Elimbah, Narangba, Kallangur, Dakabin, Petrie, Strathpine, Bray Park, Lawnton, Warner, Cashmere, Ningi, Bribie Island, Sandstone Point, Deception Bay, Wamuran, Woodford, Kippa Ring, Margate, Redcliffe, Mango Hill, North Lakes, Murrumba Downs, Scarborough, Clontarf, and other areas on a case by case basis. For no-nonsense, reasonably priced computer repairs, contact us on (07) 5428-7905. Or email us at [email protected] to find out more. Or if you are looking to buy a new Computer or Laptop, find out more on our Computers and Laptops page. You may also be interested in our Mobile Computer Repairs Service, or our Remote Online Computer Repair Service. You don’t need to beg. We will gladly come to you and fix your PC problems. And we don’t bite either!! !